Dime Bag has found yet another way to save you some money. Presenting the Dime Bag 25 Pack Shop Display. 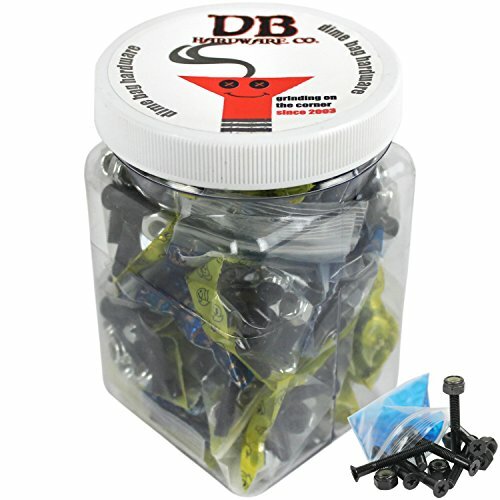 This includes 25 pre-bagged sets of Dime Bag 1 1/2" Black mounting hardware. The same hardware you love, but more of it. Great for front counters in skate shops, someone looking to get hardware for all of their friends, or someone who just goes through a lot of hardware. Great for old school and longboard setups allowing you to use at least a 1/4" Riser. Penny Phillips Gumball Blue Skateboard Hardware Set - 1.125"
PLUS Reserve Plus Reserve Universal Black / Silver Skateboard Hardware Set - 1"